After two months living in Finland (by the way, I think it´s been the best decision I’ve taken! ), I decided to paint a Finish tank. First I thought in a captured T-26 tank, but immediately Angusin sent me an Stug III G.
Thanks to Antonio Jesus, and other friends, from Wargames Spain, I collected enough information to paint an historical camouflage. I decided to simulate a tritonal camouflage with yellow, green and brown. 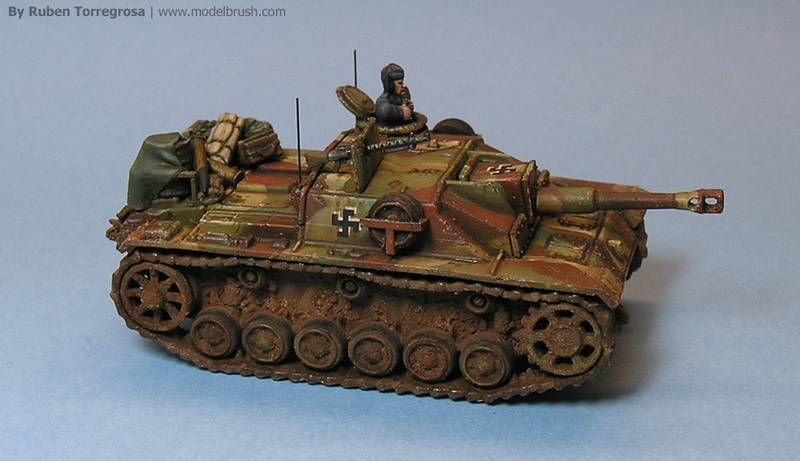 I´ve used the following picture such as inspiration, the Stug III G nº 531-27. 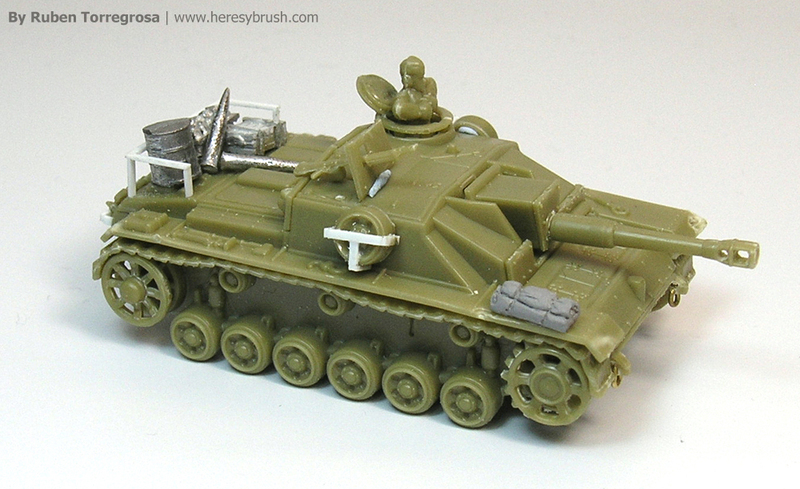 In first place, I modified the original Stug III G from The Plastic Soldier. Using plasticard of 2mm from Evergreen, I created a platform on the rear and I prepared a new support in T-form for the fifth wheels. Finally, I added different elements of equipment from Battlefront and Skytrex. In every color I used three different tones: shadow, intermediate and light. Although I painted an extra light in the yellow color, to get a bit more contrast. 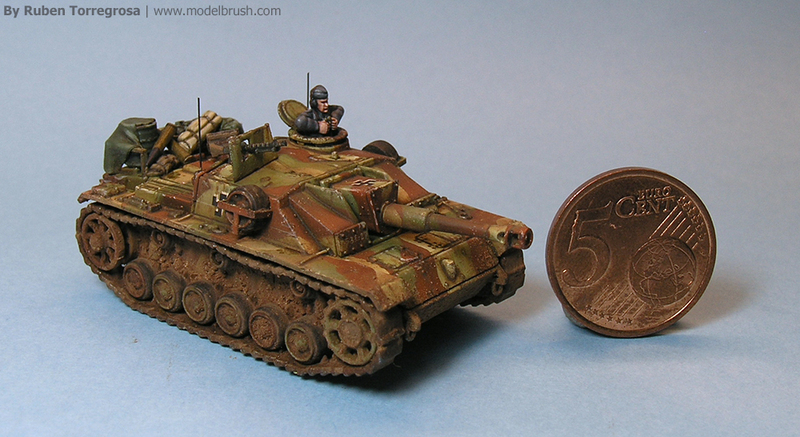 Because this camouflage had hard edges I decided to use SillyPuty (or BluTack, or any adhesive putty). I started painting the yellow color, because it showed a small snake pattern. And is easier to mask this kind of pattern in the start than in the end. I painted a complete modulation. Then, I masked the yellow. I used a small amount of putty because the size of the yellow stains is too smaller than the other colors. I used the edge of a brush to distribute the putty. Once the putty is placed, I paint the brown color, applying a complete modulation once more time. It’s important to keep the same illumination pattern used in the yellow!. And I repeat the same process, before painting the green. I masked part of the brown, and I painted the green modulation. Note, green and brown occupy the same space. After paint all colors, I put Finish decals from Minairons. 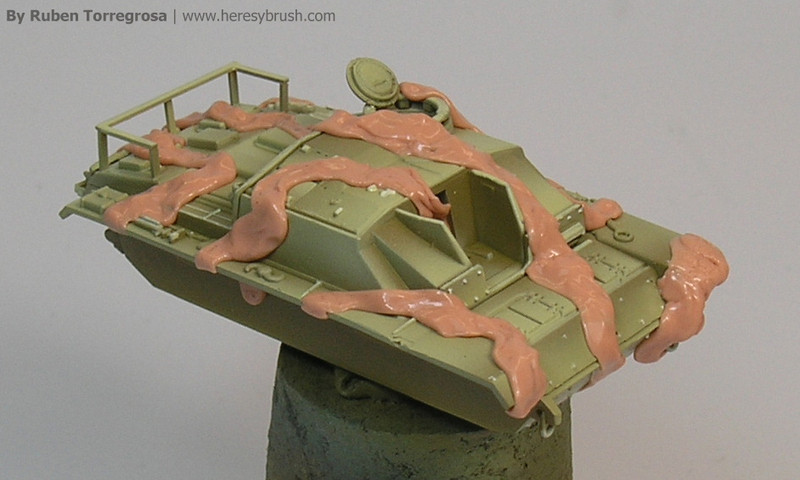 And before starting with the weathering effects, I applied a satin varnish in order to protect the acrylic paint. 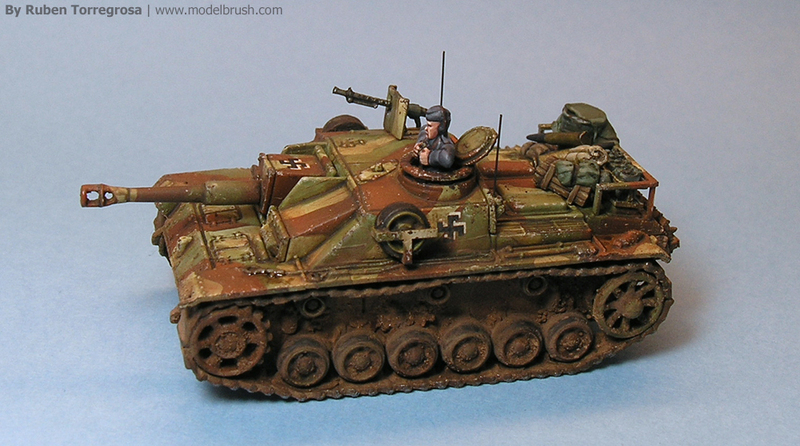 If you are interested in the weathering effect, you can check this video: how to paint 15mm German tanks. 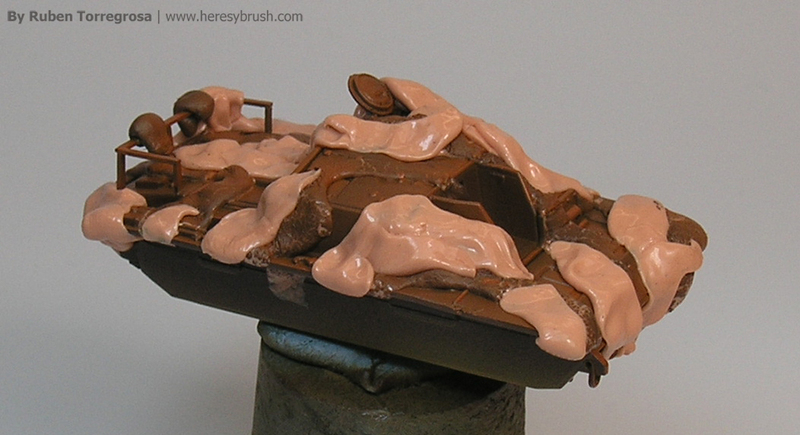 And to know how recreate the dry mud, you can check this other tutorial: how to make mud. In addition, if you are interested, you can find a tutorial about how to do dusty roads in HeresyBrush. 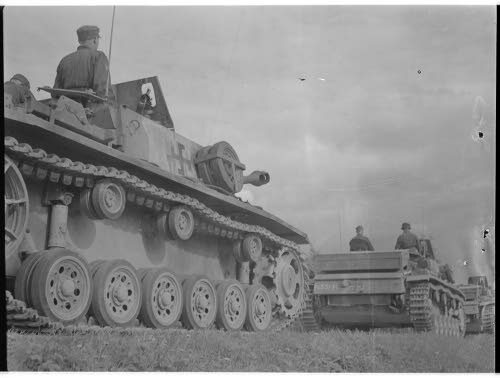 * The Finns didn’t have any shortbarreled StuHs with the 105mm howitsers, only the longbarreled 75mm StuGs. * You put the “hakaristis” upside down, the white “shadow” should be downwards. * The MG34 was replaced by the Finns with a Soviet DT machinegun, but it really dosn’t show that much in this scale. Great comment @saturnismus! thanks for the info! Great great comment Saturnismus, thank for your time!